Irish Setter Boots – Outdoor Work Boots! Red Wing of Richmond’s Irish Setter line features an outstanding selection of hunting boots and outdoor work boots. Whether you’re hoping to bag the next big buck, or getting some work done out in the elements, Irish Setters have tons of great features that will keep your feet secure, dry, warm and comfortable. Irish Setters are crafted from the finest leathers and materials. Each boot represents years years of feedback, straight from hunters and outdoor workers. Our Artisan cobblers and designers take that feedback and build a perfect boot for the task. There’s a reason most everyone you meet on the farm or hunting trail is wearing a pair of boots with the Irish Setter logo on them. Our boots are just better! 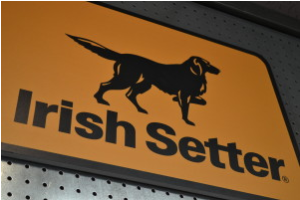 As with all of our boot collections, Irish Setters are available in a large assortment of purpose-built models. The gallery below features some of our most popular models. 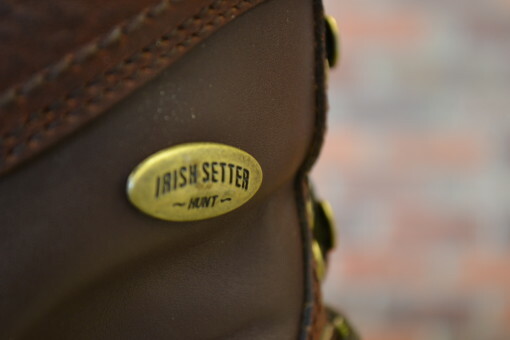 When you’re done admiring the quality of these boots, spend some time watching the video below for an explanation of some of the great features of the Irish Setter line! Our Irish Setters are great boots! The next guy you see doing hard work on the job or on the hunting trail will tell you as much. We’re confident that there’s no better boot for outdoor work and play. The footwear from Irish Setter is purpose-built by expert craftsmen to withstand nature’s elements… without slowing you down! The Irish Setter collection features the best hunting boots and outdoor work boots in Richmond, VA. Head up to any of our three Richmond area Red Wing Shoe stores and try on a pair! To get in touch with us, send us a message on Facebook, contact Red Wing Richmond online or call us!